Loaded with OSP suite apps! 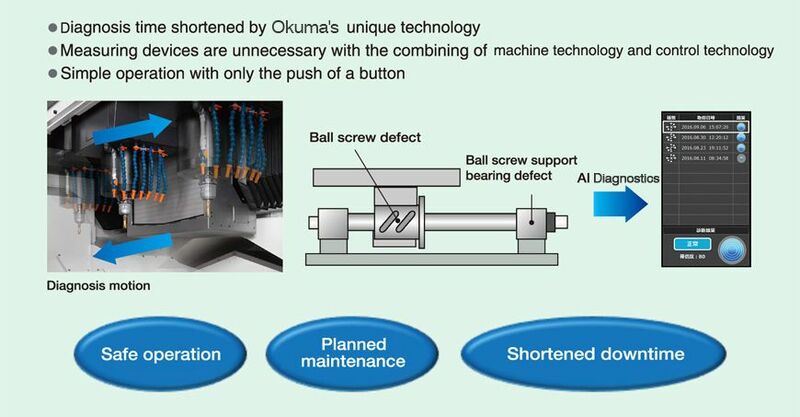 Okuma made these features a reality by building on its machining expertise, based on requests received from customers in the machine shop.These features are filled with intelligence that enhance the "strength in the field" that the CNC control can accomplish because they are created by the premier machine-tool manufacturer. Turn-Cut is an innovation from Okuma that enables turning using the milling spindle.It makes it possible to create surfaces that taper and have any varying diameter shape using a single tool through advanced synchronized control, as well as machining inner and outer diameters greater than the largest tool diameter. After the cutting conditions that follow graphic guidance have been set, inputting the spindle speed yields calculation of roundness at that speed. Inputting roundness yields calculation of the optimal spindle speed for achieving the input value. The specified spindle output (red line: short time rating, green line: continuous rating) and the spindle output in current cutting (blue circle) are simultaneously displayed on the screen, for real-time view of power reserve during cutting. This allows speeding up cutting by increasing the spindle speed or feed rate while monitoring the graph to ensure that the blue circle does not cross the red or green lines. Proper chucking pressure is essential for maintaining both work safety and machining accuracy, but calculation can be complicated and troublesome. With this new feature, selecting the chuck and cylinder type and setting the cutting conditions according to the graphical guidance yields a calculation of the theoretical chuck pressure for ensuring the required grip force under specified conditions. Improved rendering performance and use of a multi-touch panel achieve intuitive graphical operation. Moving, enlarging, reducing, and rotating 3D models, as well as list views of tool data, programs, and other information can be accomplished through smooth, speedy operations with the same feel as using a smart phone. When scrolling rapidly through screens, motion continues even after the finger releases the screen. This can make it easier to find a target item in a list view of items, such as tools or program files. 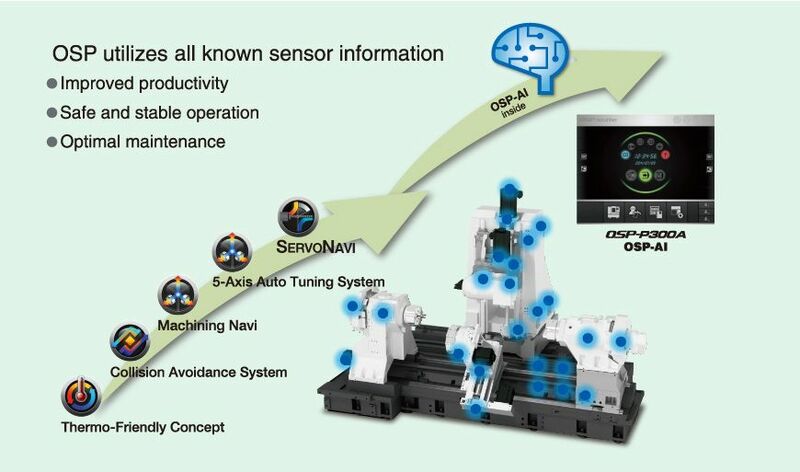 Collision Avoidance System, Easy Modeling, Advanced One-Touch IGF, PDF/STL Viewer, data views, program-file list-view operations and program editing operations.